Your air duct may need some cleaning up or repairing sometimes - especially if it has been functional for a long period of time. Our team is your local helper in this business, offering a complete package of services! People make tremendous efforts to protect the environment in most places of California and cities, like Hayward, construct new parks and preserve the open spaces as a result. Our technicians at Air Duct Cleaning Hayward specialize in cleaning and repairing HVAC air ducts as well as kitchen exhaust hoods. If you are in need of local ventilation cleaning services, let us help you. Read more here. 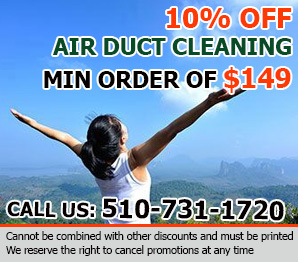 Are you looking for a reliable contractor offering air duct cleaning services in California? Look no further - you came to the right place. We offer residential and commercial services of the highest quality and with best proven results. 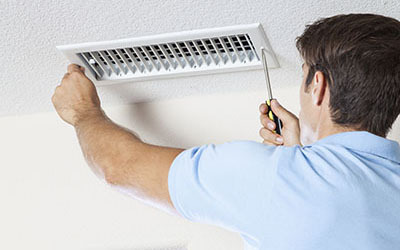 Team of specialists who perform air duct services such as cleaning, maintenance, replacement and more. 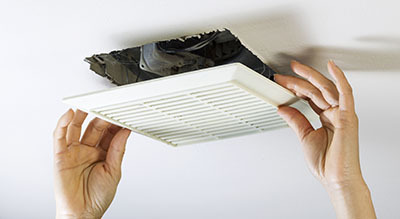 Air duct cleaning should be performed at least once every two years to protect the air in your home. You may wish to clean your air ducts and HVAC (heating, ventilation and air conditioning), more often depending on the geography surrounding you. Increased dust and toxins from proximity to industrial or commercial zones will increase the amount of particulates settling in your home. Have the expert team at Air Duct Cleaning Hayward inspect and clean your air ducts with professional equipment to save you time. The efficiency at which your HVAC equipment operates is dependent on the seal of your home. Your home's seal may be compromised at access points such as windows, doors or dryer vents. We will check your insulation to ensure you have a proper barrier, and seek draughts and other leaks. We will provide options on how you can increase your insulation to keep your warm and cool air in your home. Repairing and replacing damaged insulation can save you hundreds of dollars a year on your heating and cooling bills. Older homes may have used asbestos in the construction. Asbestos was used for its fire retardant properties as insulation for ceilings, walls and pipes. We can inspect your home for asbestos and provide an action plan for its removal. Asbestos abatement must be performed by a professional team. Do not try to remove asbestos from your home. Disturbing asbestos may inadvertently release fibers into your air, compromising your air quality. Asbestos irritates the respiratory systems and leads to a range of medical issues. Let us protect your family from asbestos related illnesses by removing asbestos in a safe and efficient manner. Your HVAC equipment should provide the voiding of all water outside of your home, or through a properly accessed drainage system. When water is allowed to backflow into the home, water damage occurs. Moist conditions are the perfect breeding ground for molds and mildews that contribute to poor air quality. Molds and mildews create allergens and toxins that affect sensitive members of your family. Protect your family by replacing any surfaces that have been affected by mold and mildew. We offer expert cleaning services for residential and commercial dryer venting systems and exhausts. Clogged exhaust systems reduce your dryer's ability to dry your clothes efficiently. Lint clogging your dryer can become a fire hazard, and attract vermin and rodents who use dryer lint as nesting material. We will clean your dryer exhaust system, and ensure there are no leaks in the seal of your home. Regular cleaning of your HVAC equipment will ensure the longevity of your equipment and ensure efficient operation. Filters need to be replaced or cleaned periodically to ensure that your air is being circulated properly. Sediments from dust and dander can settle in your air purification systems and lead to equipment failures. Have all equipment checked regularly to avoid costly repairsand replacements. 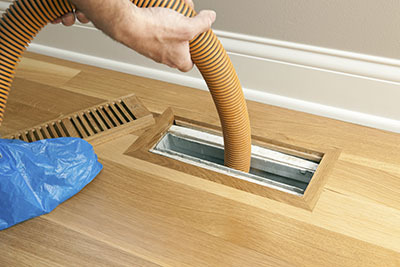 At Air Duct Cleaning Hayward, our priority is to maintain high quality indoor air in your home. Keep your indoor air quality at optimum levels by ensuring that HVAC equipment, air purifiers and ionizers are serviced by professional technicians. We will inspect for molds, mildews, asbestos and leaks in the seal of your home. Let our team of professional technicians be your partner in indoor air quality maintenance and assurance. Enjoy safer home environment and higher energy efficiency with our air duct cleaning services designed for HVAC systems. All contaminants from dust to mold are completely removed with safe and effective techniques, equipment and materials. With air duct sanitizing, the surfaces remain clean for longer. Count on us to fix damaged ducts and to replace air filters as well. To improve the system's performance even further, our technicians can clean the condenser unit. Expect a fully comprehensive solution from our professional company. Hire us for exhaust system cleaning as well. We are experts in removing lint accumulations from dryer vents. Expect results of the same quality when one of our technicians cleans the exhaust duct of your kitchen hood. Let us help you in more ways than one.